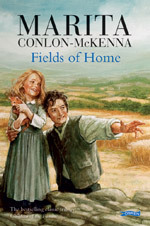 At seven, Peggy made a terrifying journey through famine-stricken Ireland. 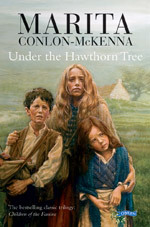 Now thirteen, and determined to make a new life for herself, she sets off alone across the Atlantic to America. Will she ever see her family again? Here’s a link to another page that has lots of extra information on Wildflower Girl for projects, homework and general interest in the subject. 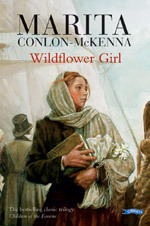 Here are some earlier covers of Wildflower Girl along with some editions from outside of Ireland.